Gone are those days, when we were supposed to stand in the long queues in railway station for tickets. 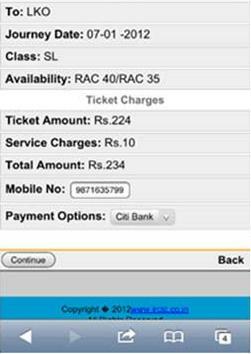 After the web version of IRCTC, they have released their mobile application which makes the booking ticket very easy. 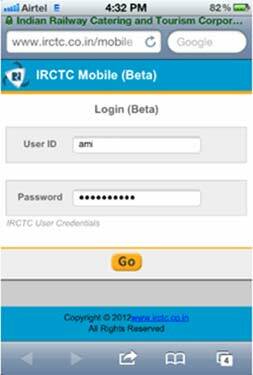 33 Respones to "IRCTC Mobile Tickets Booking Application [Very Useful]"
the irctc website gets crashed morning..will this mobile site work in the morning?? dear akash this site is not open in mobile ? 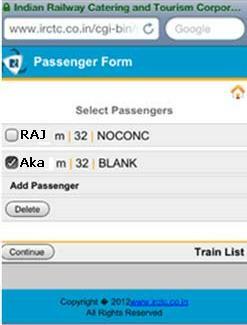 appreciable move by IRCTC towards with the fast moving world. Useful and will be used by many people in their mobiles. Ye Web Site PC Me Subah Me Nhi Open Ho Rhai Hai, Jab Bhi Mai 10:00 AM Ke Baad Open Karta Hu To Open Ho Jaati Hai. 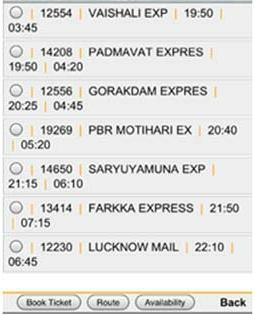 Mai irctc ko pichle 3 din se open krne ko kosish kr rha hun lekin khulta hi nahi. Krupa kar k bataye ki mai kya karun ??? 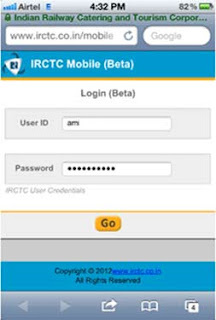 web page irctc.co.in/mobile not open last 15 days please hejp me. Kishore, During Tatkal booking, due to heavy congestion, the server may be busy ! Keep trying on the time, other than tatkal ! The new rule was introduced to allow common people to book tickets from home and more importantly remove the brokers/agents out of the picture. However, the changed rule allows only agents to book tickets. I wonder how they are able to access the system. The answer lies with the politician who just makes policies but does not care enough to see its implemented with right intent. Earlier atleast normal tickets could be booked. nowadays even login at anytime is soo slow it makes you wonder whether you have 2 MBPS internet speed or 2kbps internet speed.. God save the common man and more importantly give sense to those managing/implementing/creating policies & guidelines for IRCTC. 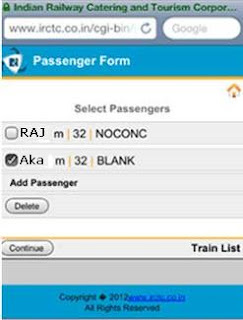 Dear Manohar Joshi, Go to play store and download the IRCTC application. You can book the tickets from it. not able to login on mobile software, tell incorrect user name and password, with same username and password able to login on system why??? and what to do??? 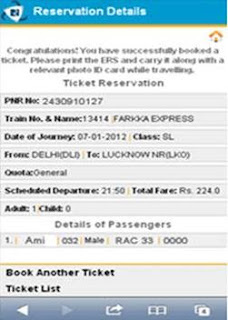 Your Sites provides us comprehensive details about IRCTC Reservation and its online process.